"Jim brightened my day whenever he visited. My sympathies to hie entire family." Son of the late James E. Hickman and Ruth L. (Phillips) Hickman, Jim was born in Boston, MA and grew up in Brighton and a long-time resident of Acton. He was the oldest of three brothers and many cousins on both sides of his family. He attended Brighton High School and went on to the University of Massachusetts at Amherst on a full football scholarship. Jim was an exceptional athlete, a state champion in the 100-yard dash and a football star. He remains fifth all-time in average yards per kick return for University of Massachusetts. It was also at UMass that he met his future wife, Sheela (Fowler). After UMass, they lived in Brighton where their first three children were born and moved to Acton soon after their fourth came along, where they raised their family and remained until his passing. Jim was a devoted gym rat well into his 70s. Dubbed “the freak” by members of Gold’s Gym in Concord, his fitness and strength were legendary, to the very end. Jim spent the better part of his career working in the environmental services industry. He started at Jet Line Services in 1975 where he began as Vice President of Sales before being named President of the company. After Jet Line, Jim started JP Hickman Associates and began collaborating with Clean Harbors and several engineering companies during the 1980’s. Jim became a full-time employee at Clean Harbors in 1992 as the Sales Director of Northeast. Two years later, he became the Vice President of Business Development. Jim was a mentor to scores of Clean Harbors employees some of whom are still thriving at the company and others who have moved on to other organizations in the industry. Dave Parry, one of Jim’s protégées and currently one of the top executives at Clean Harbors, said Jim was “literally a legend in our industry and was known as a sales leader guru and a great customer relationship builder. I can’t emphasize this point enough.” To quote another colleague, “Jim was a Godfather and fixture of the industry.” At Jim’s retirement party, Clean Harbors co-founder, Chairman, President and CEO, Alan McKim, said “the company would not be where it is today but for Jim’s early involvement”. A charity very important to Jim during his time at Clean Harbors was the Hospice and Palliative Care Federation of Massachusetts from whom he received a Certificate of Appreciation for his 15+ years of fundraising efforts. Jim was known for his sharp and biting wit. His die-hard devotion to the Patriots came second only to the love and devotion to his family. Jim had a unique way of imparting family and friends with his knowledge and wisdom, on a broad spectrum of subjects. Much of this is accomplished from his beloved poolside cabana, surrounded by the landscaping he and Mom created and fastidiously maintained for nearly 40 years. Jim is survived by his wife of 57 years, Sheela A. 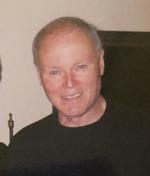 (Fowler) Hickman, his children Laurie Mayoral (José), James Hickman (Michelle), Cynthia Bradlee (Ben), and Janica Vogler (Todd); four grandchildren, José and Christian Mayoral and Riley and Brady Vogler; brothers, Barry Hickman (Karen) and Brian Hickman (Karen), nieces and nephews Barry, Stacey, BJ, Matthew and Leigh, and many cousins.